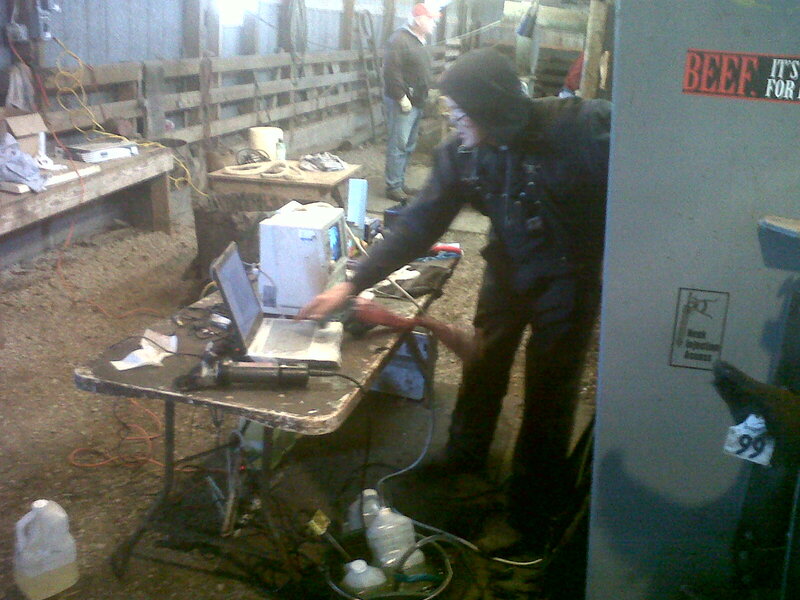 We’re ultrasounding bulls today on the research station. Now you maybe wondering, what in the world would we do that for? 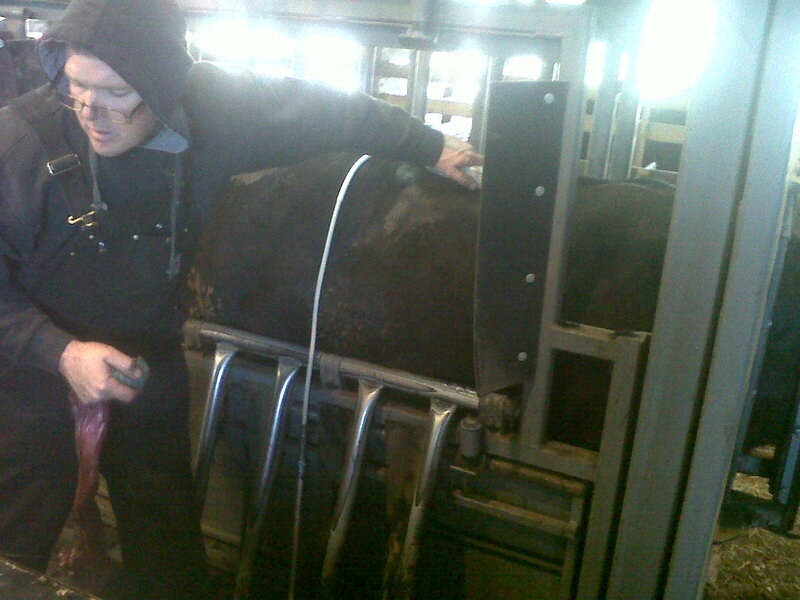 We’re collecting measurements of ribeye area, fat thickness over the ribs, and intramuscular fat (a.k.a. Marbling) for EPDs (expected progeny difference). 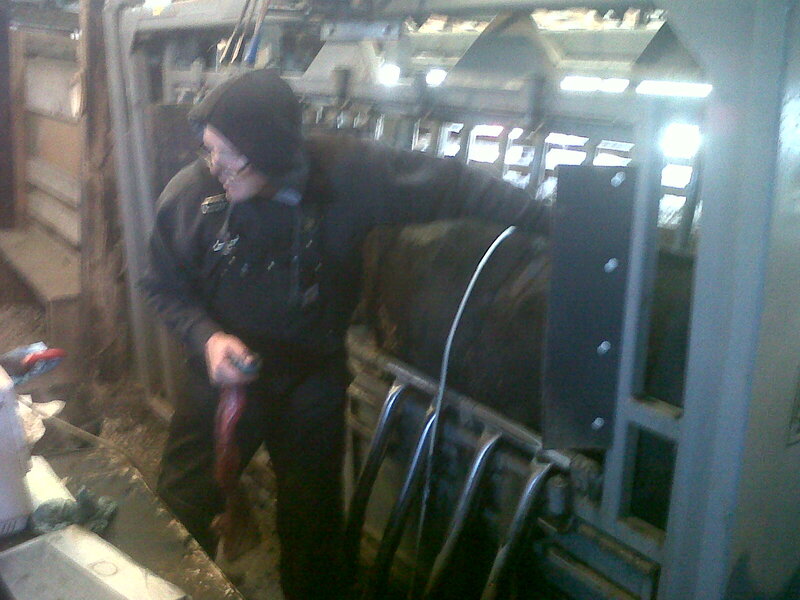 It’s a slow process when we have 100 bulls to do this morning, so I have time to try out my first blog post via my blackberry. Hope it turns out well.